When women support each other, incredible things happen. Our events will always be focused on supporting women and giving back to the community. On November 11, 2018, Fit4Dance partnered with one of our most dedicated dancers, Kina Thomas, who also owns her own business SipNPaint with Creativity @sipnpaint_with_creativity. She hosted the best Sip & Paint I’ve ever experienced and many others felt the same way. 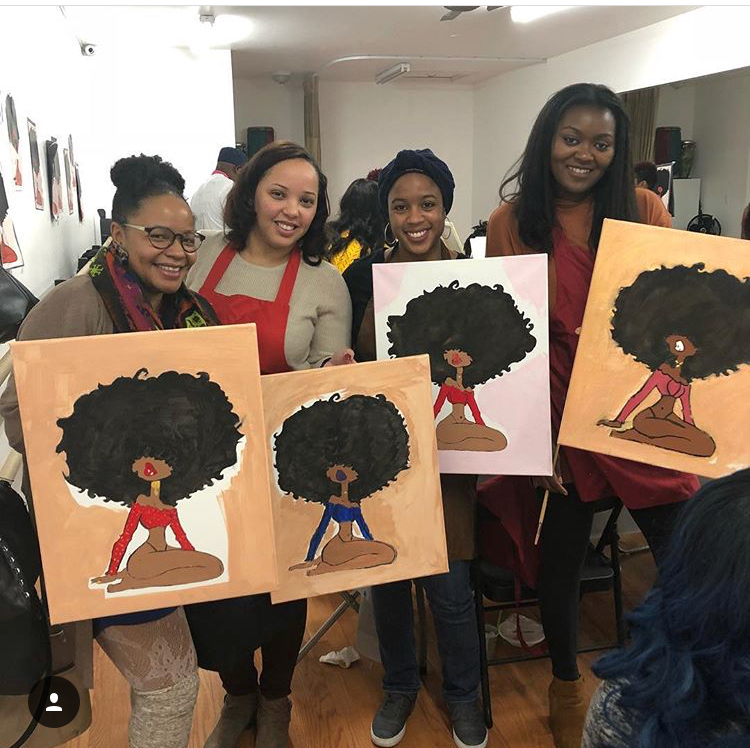 We were also blessed that Lisa Leshore @drinksbylisad, another loyal Fit4Dance member made the most delicious adult beverages for us to enjoy while we painted! How incredible it is to support each other. I feel incredibly blessed each day that I can hold space for my community to have fun together and support each other. Thank you to everyone who supported this event. We’re definitely going to do it again. Check out these beautiful Sistas and support their hustle. Their contact info below photo gallery.